EccoTerraDome offers a build it yourself Geodesic Dome kit that will give you permanent housing on your acre of rural land. GEODESIC DOMES, YURTS, and AD HOC IMPROMPTU HOUSING STRUCTURES FOR YOUR 1-ACRE FARM (PLUS the NEW GUY ON THE BLOCK, THE DOME WHICH CANNOT BE BURNT OR QUAKED). There are yurts and geodesic domes available in the marketplace for between 10 and 25 thousand dollars. But what Earth needs now is a POP UP QUICKIE FAST CHEAP YURT for hippies, rural land owners who exit the city broke,homeless, but also EASY BREEZY for NATIONS & victims of quakes and floods, civil wars and charity organizations. A YURT should be an inexpensive home, something you could pull out of a few cartons and assemble while your family used the camping stove to make lunch. By night time, you would have a house with doorways, windows, air conditioning and a vent in the top. The next day you start planting edible vegies in a forest clearing nearby. The right YURT or DOME would be organic, cheap natural materials, no chemicals & could last a decade even in extreme weathering conditions. I'd call it an ECCOTERRA DOME. The yurts and straw bale homes up for sale are super fancy compared to this new version of the ecoterra dome. The YURTS have thick wooden beams overhead and stone walls all round, genuine tiled bathrooms and they often are set on 25 acres of land ergo the cost can be super high but it set me wondering isn't there a way to micky mouse 1 yurt for a person's recently bought acre in the sticks? OR one's rural squat Property far from any nearby farms, just out in the woods? Like a more muscular tent? While I think any healthy man could build a yurt, given a diagram and given some pine trees in the forest and a generator and a chain saw ... oh and an acre of paid up land, a composting toilet, a well with a pump that ran off solar cells, or a generator...what about something faster to assemble, to live in while you build your big yurt? Later you can use it for tool storage. People still can build cabins in the wild with a chain saw. As a family project, they can furnish them from dumpsters in alleys full of wood risers I am crazy about the new TV SHOW "JUNK RAIDERS" where people find cupboards and appliances, sinks and pipes from hotlines and do a hundred thousand makeover for ninety bucks. They use the internet, hotlines and posters asking for donations and contractors call them and give away fairly new appliances. They make demolition buddies and carry it all to their 'yurt' or loft. But there is still a need for a two hour quik build shelter, one that can last a decade. I think the GEODESIC DOME that 'builds fast,' is an idea that handy folks could work on,invent. BUILD. Hello, Have a read about the fire tornados, blast furnace conditons created by our firestorm. Monolithic Domes appear to be fire and earthquake resistant and have lower insurance premiums, greater energy efficiency and structural strength. Most builders/ designers are unaware of these facts evidently. This just arrived from Gayla Gordon, a former CSL regular and Feng Shui educator who moved a yr ago, with her husband Barry Gordon, to Prescott, AZ. I suggest u check this out, pls before you build or occupy another conventional box house. Rebuild Santa Rosa To Be Disaster Resistant! This attachment is a good representation of what happened in NW Santa Rosa. Hmmm, the fires escalated because of square-edged buildings! Sad! —When will we learn??? Square homes are old fashioned and easily demolished by fire or earthquake. Square homes should be a thing of the past. Dome structures are impervious to high winds, fires, AND earthquakes! It’s time to stop thinking of domes as "quirky design” and start thinking of them as safe structures for the Future. Dome homes cost the same as traditional homes, but use 1/2 the energy. And get lower insurance premiums, because they are Disaster resistant. People should learn about domes and then inform Santa Rosa's Re-Building Department! Can you imagine Coffee Park filled with beautiful, SAFE domes for homes, restaurants and other businesses? And how about replacing the hundreds of melted trailers, in Journey’s End, with domes? Japan's National Department of Building gives big rebates for replacing old structures with domes… Guess they know more quakes are AHEAD! A few months ago, I sent out an email about the value and beauty of Domes. Did you get it? If I still lived in Santa Rosa CALIF, demolished by 2017 fires that raced 250 feet a second killing 2 dozen... you can bet that I’d be pushing this agenda hard to the "Santa Rosa Powers That Be" (even though I don’t have a penny to gain from it). But since I’m far away, in Arizona, I must leave it to you, to catch the VISION, and the POSSIBILITIES, and to inspire those S.R. Powers That Be to THINK OUTSIDE OF THE BOX, literally! Square homes are old fashioned and easily demolished by fire or earthquake. Square homes should be a thing of the past. 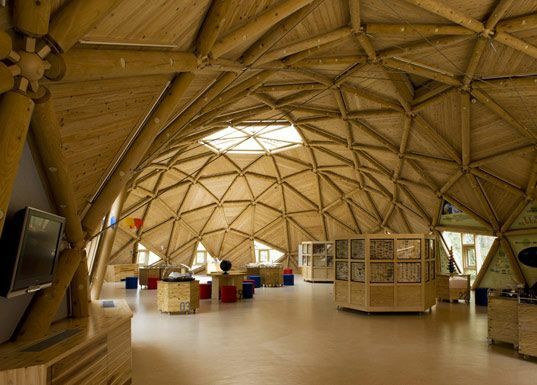 Domes = an intelligent, safe and aesthetic future. Japan, as a country, knows it, promotes it, inspires it, even funds it. Santa Rosa needs to know it! —And Re-build accordingly. Guess fashionable Californians are afraid to look like a field of Mushrooms! If you agree, please send this message forward to anyone you can think of who can, or who knows someone who can, make a difference in County Policy. Or, to people who’ve lost everything and want to rebuild. It’s going to be hard to undo the devastation. But maybe we can help to heal the future.